Sultan ‘SID’ Dajani is known as SID qualified at the London School of Pharmacy in 1994 and three years later was elected onto the Council of The Royal Pharmaceutical Society of Great Britain; the governing body for all pharmacists and pharmacies as the youngest member since it began in 1842. He has topped the poll in every re-election including 2015. He’s has had over 500 articles published in both trade and national press, over 350 TV and radio appearances and is both a national and international presenter and consultant. He is a Royal Pharmaceutical Society spokesman and has served and Chaired numerous committees, both internally and externally, either in industry or on government working groups. These include the Public Health Leadership Forum, antimicrobial resistance and the legalisation of cannabis for medical purposes. He had also gained valuable experiences piloting a number of services in Kensington, Chelsea & Westminter and Lambeth, Southwark and Lewisham Pharmacies from 2001-6. SID has comprehensive experience in pharmacy which include politics, consultancy, journalism, clinical services, strategic business understanding, commercial acumen and a value adding approach to communication and presentation skills. Areas of expertise also include public affairs, healthcare, media, marketing, negotiating and a excellent network of contacts across business, the media, parliamentarians (Westminster and Brussels), key healthcare professionals and the pharmaceutical and OTC industries. SID is also an experienced Chairman. 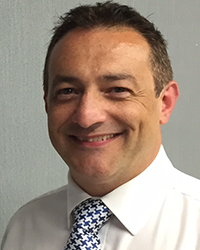 Previously, he chaired the national Practice Committee and is currently a member of the English Pharmacy Board, the Assembly of the Royal Pharmaceutical Society and its current Treasurer for the past three years. He currently chairs various committees including, The Pan-pharmacy Information Management and Technology group, The Relocation Programme Board, The UK Stakeholders group. SID is a representative on the Pharmaceutical Group of the European Union which requires monthly visits across Europe, mainly to Brussels.